Install OpenELEC on Raspberry Pi 2 Model B and take your Kodi media center to the next level. Raspberry Pi 2 Model B was released earlier this year with a quad-core CPU and 1 GB RAM. In our previous comparisons on Raspberry Pi 1, OpenELEC was one of the top performers along with Raspbmc (which is now OSMC). We have shown you OpenELEC installation on RPi 1 as well as running OpenELEC from USB stick. 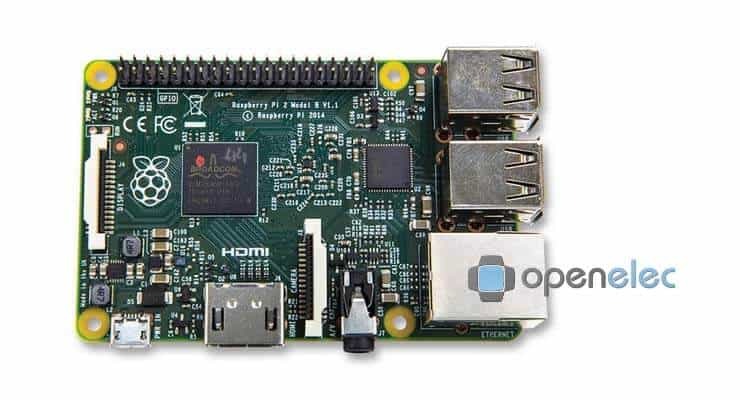 With OpenELEC Kodi enthusiasts upgrading to the new Raspberry Pi, it is time show how to install OpenELEC on Raspberry Pi 2 Model B on a Windows system. In a separate post, we will show Linux installation as well. OpenELEC enables running Kodi on Raspberry Pi 2. There are multiple ways to install OpenELEC on RPi 2. 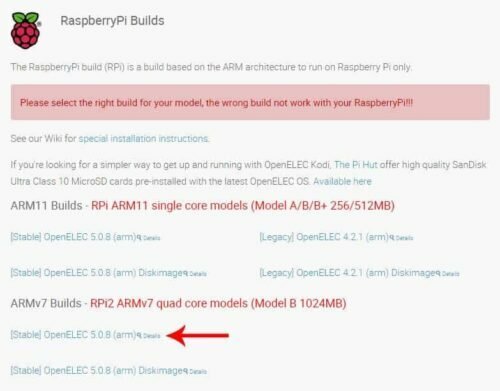 While you could use NOOBS, this guide shows you the step-by-step screenshot guide to get your Raspberry Pi 2 OpenELEC up and running quickly. I recommend that you recommended all the Raspberry Pi 2 accessories ready before you start. Remember unlike RPi 1, RPi 2 requires as micro SD card. In this tutorial I am using a 8 GB micro SD card. Now your SD card is ready for RPi 2 OpenELEC installation. Head over to OpenELEC download page and download OpenELEC for Raspberry Pi 2. There are specific builds for Raspberry Pi Version 1 and 2. So pay attention to the titles and download the one for quad-core Raspberry Pi 2 (not the Diskimage) as pointed out in the picture below. 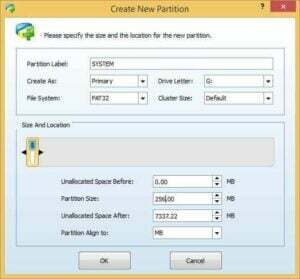 Once downloaded, extract the .tar compressed file. 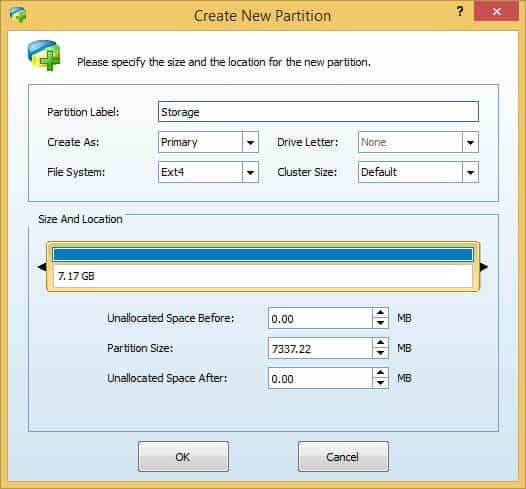 You may need 7zip or other similar programs to extract .tar file on Windows. To install OpenELEC on Raspberry Pi 2 on Windows, navigate to the extracted OpenELEC folder, in this example OpenELEC-RPi2.arm-5.0.8, and copy the following files to the root of the SYSTEM partition on the micro SD card. After copying, rename the file KERNEL to kernel.img. 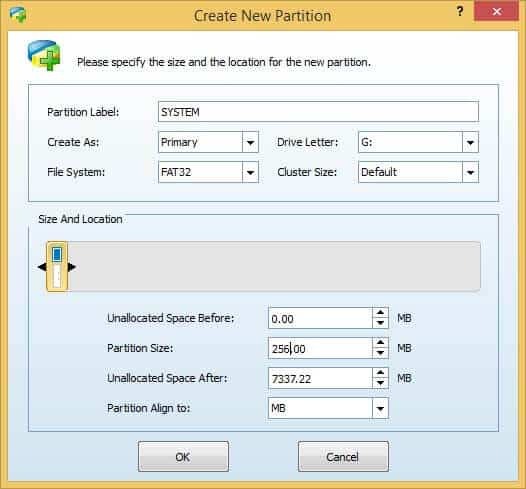 The SD card base folder should look like the screenshot below. Don't worry about the cmdline.txt file because that needs to be created as described below. 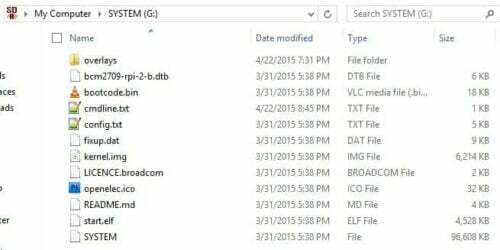 Now in the SD card base folder create a file called cmdline.txt, copy the following content, and save it. Go ahead install OpenELEC on Raspberry Pi 2 Model B and enjoy the low-energy but powerful Kodi experience that RPi 2 has to offer.